Coffee beans grown in Guatemala typically have tasting notes indicating a full body and a rich chocolatey-cocoa flavor, and a toffee-like sweetness. Guatemalan coffees are true central American coffees. Some coffee reviews note that a lighter acidity is found among the coffees grown in mountain areas exposed to the Caribbean (e.g., Huehuetenango and Coban) or exposed to the Pacific Ocean (e.g., San Marcos), and these coffees tend to exhibit more of a fruity acidity and flavor. One of the best Guatemala coffees is Guatemala Antigua, which is distinguished for its complex flavor and hint of cocoa. Antigua is known to exhibit the typical Guatemalan coffee qualities which include a full body (heavier than the typical Central American coffee) and spicy flavor that is often very rich, even velvety. An ideal coffee-growing soil and climate is found in the Antigua region, a valley surrounded by three volcanoes. These coffees are known to retain their unique flavors well into a dark and even espresso roast. Canadians fear not, you can find Guatemala Coffee Canada. Another fine Guatemalan coffee is Coban grown in north-central Guatemala and displaying typical Guatemalan coffee qualities which include an excellent body, usually full or medium, with a rich and spicy flavor and light fruity acidity, often floral, and a lively aroma with light winey notes. Guatemala Huehuetenango Coffee provides a taste that is subtle and mild yet still complex and interesting. With distinctive and delicate fruity flavors, Huehuetenango has a light body (often buttery), sweet floral aroma, and a pleasant finish that is clean on the palate and lingers. Huehuetenango coffee is grown in the highland regions of northern Guatemala, an area that produces some of the most distinguished Guatemalan coffees. The bright fruity quality of Huehuetenango is enhanced by a Light Roast while a Dark Roast brings out flavors of cocoa and bittersweet chocolate. The Guatemalan coffee grading system defines the Strictly High Grown / Strictly Hard Bean (SHB) grade to include coffee beans grown at elevations higher than 1350 meters above sea level, while the Hard Bean (HB) grade includes coffee beans grown between 4,000 feet and 5,000 feet above sea level. As with other coffee growing areas, the assumption is that the higher elevation bean is harder (more dense), and thus of a higher quality, or grade. Guatemala’s growing regions, or zone, include the Fraijanes Plateau, Antigua, Highland Huehuetenango, Rainforest Coban, Volcan San Marcos, Nuevo Oriente, and Atitlan. The Nuevo Oriente coffee growing region is located in eastern Guatemala along the border with Honduras. An ideal climate and clay and metamorphic volcanic soils result in high quality coffee with a distinct acidity and good body. Nuevo Oriente coffee grows at elevations from 4,300 feet to 5,500 feet above sea level where the rainfall averages about 1,900 mm each year and temperatures range from 18 to 25 degrees Celsius (64 to 77 degrees Fahrenheit). The coffee cherry are harvested from December into March. The Atitlan coffee growing region surrounds Lake Atitlan in Guatemala near three volcanic mountains and near the Pacific Ocean. This area receives abundant rainfall all year around, averaging more than 50mm of rain in every month. Coffees from the Atitlan region are known for their full body, spicy or floral acidity and rich, aromatic flavor. The coffee cherry are harvested from December into March. Atitlan coffee grows at elevations from 4,000 feet to 5,900 feet above sea level where coffee diseases and pests provide very few problems and the humidity level is about 75%. Most of the coffee farms are about 12 hectares in size. The coffee plants of the Atitlan region are typically fertilized with organic matter instead of chemical fertilizers. Some farmers use the waters of Lake Atitlan during the wet-processing of the coffee cherry, and then the coffee beans are sun-dried. Fraijanes Plateau is a coffee growing region in Guatemala in the mountainous region north of Lake Amatitlan. These mountains surround the Valley of Ermita, the location of Guatemala City. Coffee is grown on the Fraijanes Plateau at elevations from 1200 meters to 1500 meters above sea level and the temperature averages about 22 degrees Celsius (72 degrees Fahrenheit) all year around with rainfall of about 1,500 mm annually and a relative humidity of about 60%. The mineral-laden soil, which is high in potassium, has benefitted from the recent ash deposits due to the volcanic activity of Volcan de Pacaya. 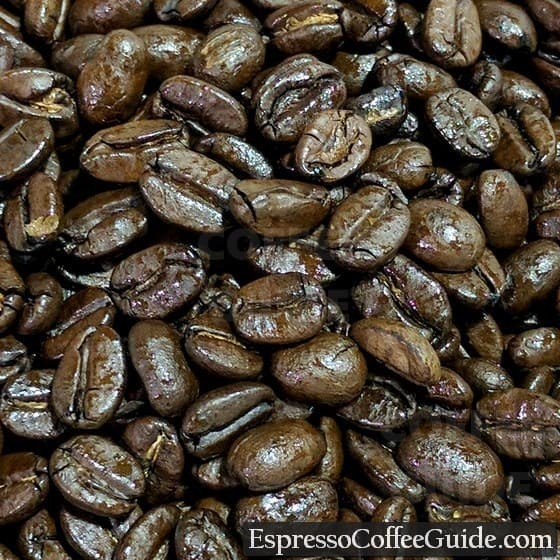 The soil quality is said to produce excellent body in the cup of brewed coffee. The ideal soil and climate of the Fraijanes Plateau produce premium Strictly Hard Bean grade coffee. Coffees grown on the Fraijanes Plateau are known for their full body, distinct acidity, and soft aroma. The quality of coffees grown in this region has been compared to Guatemala Antigua Coffee. Antigua is a coffee growing region in Guatemala and is also used as a market name. Surrounded by three volcanoes, the valley that surrounds the old capital of Guatemala Antigua has a ideal soil and an ideal coffee growing climate which produces these distinguished coffees. Guatemala Antigua coffees are Strictly High Grown / Strictly Hard Bean coffees grown at elevations from 4,600 feet to 5,600 feet where the temperatures range from 66 to 71 degrees Fahrenheit (19 to 22 Celsius). The rainfall in this region is usually between 800 mm and 1,200 mm each year with a humidity that stays relatively constant at around 65%. Distinct wet and dry seasons provide for a consistent climate that leads to a uniformity of maturation among the coffee plants, with harvest typically occurring from January to the middle of March. The Highland Huehuetenango coffee growing region is located near Mexico’s border and the coffee is grown at elevations between 5,000 feet and 6,000 feet above sea level where the average temperature is about 23 degrees Celsius (73 degrees Fahrenheit). Average annual rainfall in the Huehuetenango region is about 1,800 mm and the humidity is around 75%. 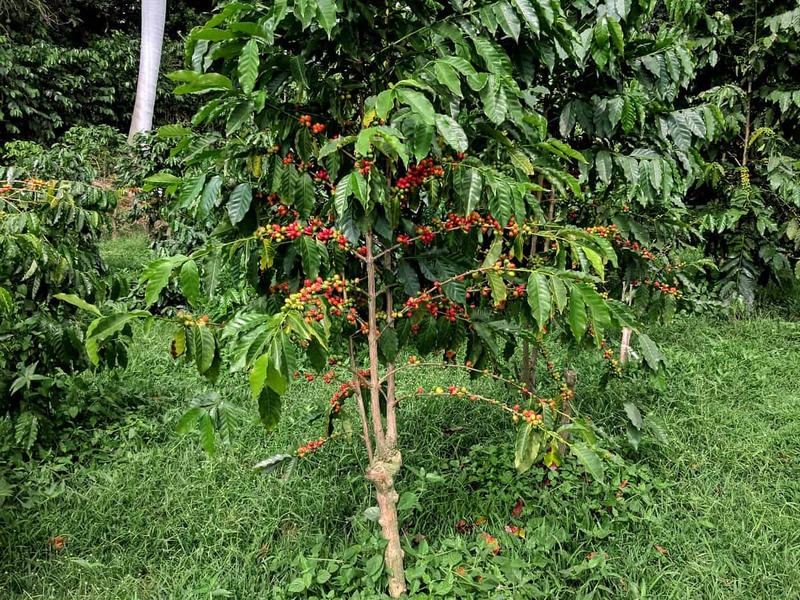 The coffee cherry are harvested from January through April. The Highland Huehuetenango coffee plants are protected from frost by the hot and dry winds of Mexico’s Tehuantepec plain. The Rainforest Coban coffee growing region is in the northern part of Guatemala and is predominantly characterized by humid, subtropical forests. Rain falls year round and totals about 3,250 mm each year with a relative humidity of around 90% and temperatures ranging from 59 to 73 degrees Fahrenheit (15 to 23 degrees Celsius), a fluctuation that is largely dependent on the north winds. The soil of this region is mostly clay and limestone, and the climate is affected by the Atlantic Ocean and is often cloudy with a typical day perhaps only receiving a few hours of direct sunlight. Volcan San Marcos is the wettest and warmest coffee growing region in Guatemala, and also the first region to produce flowering coffee plants each year. Harvesting of coffee cherry begins in December and continues into March. The coffee is grown at elevations between 4,000 feet and 6,000 feet above sea level where rainfall averages about 4,500 mm annually, with an average humidity of about 75%—the region’s climate is affected by the Pacific Ocean. Organic certified coffees are available from Guatemala, most frequently from the Huehuetenango growing region. Coffee plant varietals grown in Guatemala are predominantly Typica and Bourbon, but also grown are Catuai, Caturra, and Pache. All of these produce slightly different flavors of coffee beans, and the coffee cherries can be dried and sold as cascara, boosting sales for farmers. While still a new market in North America and Europe, cascara continues to grow in popularity thanks to the cascara latte introduced by Starbucks in 2017. A relatively rare offering, there is more of this becoming available on the market in recent years as production ramps up. Acatenango offers a Gesha varietal that is very sweet, fruity (tropical) and floral. The Geisha varietal is brought in from Ethiopia (to Costa Rica, then Panama and finally Guatemala). The flavors are delicate and truly unique compared to other coffees, that it stands out even when grown in the same climate and soil as other coffees. The floral aroma is reminiscent of Jasmine and dried fruit flowers. The sweetness is similar to honeysuckle, with a citrusy tone with a bit of peach. Guatemala has a long history of exporting their coffees, and are quite common among specialty roasters. When ordering roasted coffee for home, we recommend ordering whole bean coffee, and ordering from a coffee roaster who will fresh roast your order and get it to you within a week. Brands and blends that have been sitting on store shelves (or Amazon warehouse shelves) should be avoided since these are usually roasted weeks or months before finally being sold, as they travel through distribution and shipping locations. 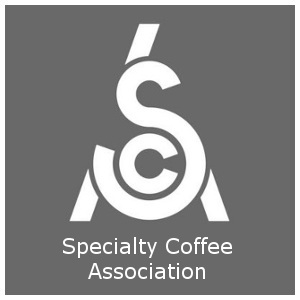 Specialty green coffee importers work with brokers and distributors located in Guatemala to import the unroasted coffees into the United States and Canada. These are typically bulk shipments – container loads – which are then portioned off into smaller wholesale lots for coffee roasting companies, who roast and sell in 5-lb and 1-lb bags, sometimes as small as 12-oz. Starbucks Reserve features the “Casi Cielo” Guatemalan coffees: “In Guatemala’s Antigua Valley, the volcanic soil creates this elegant, complex coffee. Bright with a smooth cocoa finish”. Tasting notes describe it as a medium roast with lemon and dark cocoa flavors. 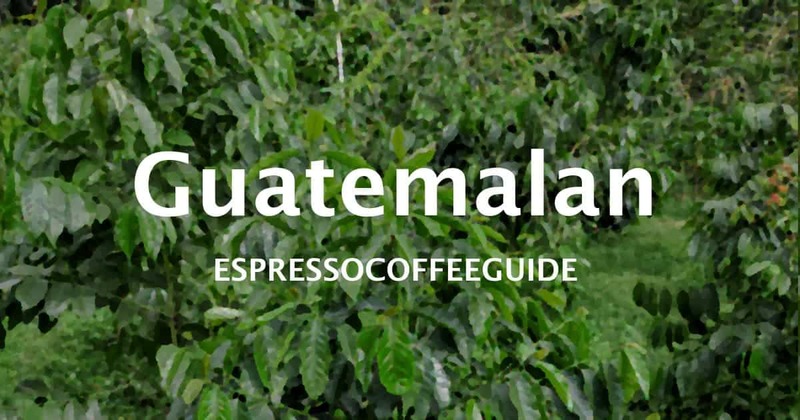 Organic Guatemalan coffee (no region specified) is available from the Coffee Bean and Tea Leaf, offering a smoky, robust flavor, high acidity (as is common with Guatemala) and smooth caramel smooth. I went two years ago just to enjoy coffee. Visit Finca Philadelphia, very short trip from the city just 35 miles away to west and few miles from Antigua Guatemala. They have a nice $15 trip that include visit the farms, the ranchos (house process) and the nice restaurant where you can buy coffee. The best place I went was to San Marcos close to the volcanoes, best coffee taste ever. You can get coffee with not brand because they are just to be exported to EU or US. It’s far 5 hours trip but enjoyable. Our firm is from Slovakia, Europe. We would like to buy roasted cofee and prepacked. The supplier should have valid export licence for Europe. Please let me know the packing quantities which are available. Have a nice day and I await your kind answer. Could I get a pound from 2 of the different regions to compare them? Thanks for reaching out Francis! I’ve sent off an email for a supplier where you can get a sample of two different regions. Let me know how it turns out when you get them! I would like to get two samples of roasted bella Carmona & Huehuetenango ? Please recomend one of the best roasters to contact me.